The Jarvis Model 444 and Model 464 – electrically and pneumatically powered reciprocating saws for production breaking and general use. 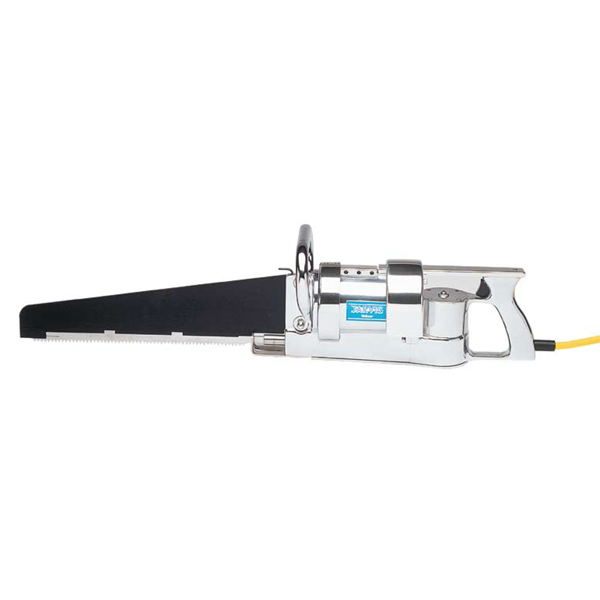 • The Model 444 (electric) and 464 (pneumatic) are lightweight saws suitable for production breaking and general purpose use in locker plants. • Lightweight – the Model 444 is 23 lbs (10.5 kg) and the Model 464 is 20 lbs (9.1 kg) for ultimate flexibility. – Beef: cutting fore quarters, shank bones, primal cuts, aitch bones, brisket opening and splitting.